The 2018 National League finalists will be decided on Saturday afternoon when the third and decisive matches from the semi-final play-offs will be played at the National Pool. In the opening semi-final, which starts at 6pm, fierce rivals Neptunes and Sliema will go head to head for a place in the final after they both won a match apiece after the opening two legs. The Balluta Bay side drew first blood in the three-game semi-final when they edged the first match 8-7 courtesy of a last-gasp goal from Niki Lanzon. 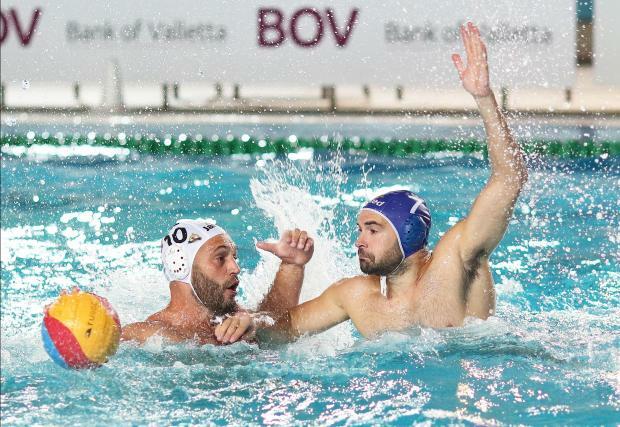 But Sliema fought back in the second tie and they too needed a late goal from Mark Meli to see off their rivals 12-11 to set up Saturday's decisive clash. Surely, an enthralling contest is in prospect between these two big rivals with a bumper crowd experted at the National Pool. However, it will be far from a straightforward task for the Saints who have been stretched to the limit by a spirited Sirens side. In fact, San Ġiljan needed extra-time to overcome the St Paul's Bay side 14-12 in their first showdown. But Sirens produced a remarkable fightback in the second match when they edged San Ġiljan 11-10 to hand the Malta champions their first defeat after 54 competitive matches. Surely, the two teams who will produce their perfect game will advance to the championship finals which get under way with the opening match at the National Pool on Tuesday.